Now hold on there, Ms. or Mr. Cynic. The fact that breathing is involuntary doesn’t equate to doing it correctly. And if you’re trying to manage a mood or anxiety disorder, correct and efficient breathing needs to be Job1. Just one of the things correct and efficient breathing will help you sidestep is hyperventilation – excessive rate and depth of breathing that leads to abnormal loss of carbon dioxide from the blood. Your breathing becomes fast and choppy. You get light-headed, dizzy, jelly-legged, tingly in the hands, feet, and lips. And your chest hurts. You may even experience slurred speech and feel as though you’re going to faint – and may well do exactly that. So how does that happen? During hyperventilation a significant imbalance occurs between carbon dioxide (exhaled) and oxygen (inhaled), resulting in unusually low blood levels of carbon dioxide. Your body’s efforts to correct the rate and balance of respiration causes the symptoms we just chatted. And, of course, these symptoms become all the more severe and noticeable as levels of carbon dioxide progressively plummet. And if you weren’t in deep enough weeds, hyperventilation leads to a build-up of lactic acid, which can generate panic attacks. Hey, sodium lactate (the sodium salt of lactic acid) is used in research work to generate panic attacks. And it works – only for panic sufferers. Well, the more you overreact to your breathing distress, the more unbalanced your breathing becomes. And your symptoms intensify and snowball. 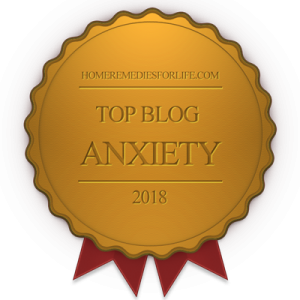 Of course, when you start to feel this onslaught of symptoms the whole mess can be pretty quickly misinterpreted as a life-as-you-knew-it-ending event. And when that happens – boom – everything falls apart. Without a doubt, correct and efficient breathing is vital in maintaining a relaxed body and mind. And it sets the tone for how you function. Now, obviously, if one doesn’t breathe, one won’t function for very long. But that isn’t what I mean. Your body operates at its best when you’re breathing efficiently. As I mentioned in our hyperventilation chat, there’s a very delicate balance between the taking-in of oxygen and the releasing of carbon dioxide – the normal process of inhaling and exhaling. And if it isn’t happening properly your body doesn’t function, and feel, as well as it could. And you’re also setting yourself up for a lot of anxiety and mood misery. So you have to learn to keep your breathing monitored without obsessing over it, messing things up even more. Diaphragmatic (Abdominal): Breathing at, or below, the diaphragm. Thoracic: Breathing accomplished by the simple expansion of the rib cage upon inhaling. Clavicular: Breathing facilitated by raising the clavicles (collar bones) and shoulders. Yoga: A combination of all of the above. The most efficient of the four is yoga. However, diaphragmatic runs a close second. Since mastering yoga breathing is more difficult, I’m going to recommend you work toward efficient diaphragmatic breathing. If you’d like to pursue yoga breathing, click here. Place one hand on your chest and the other on your upper abdomen. Go ahead and take a breath, allowing your upper abdomen to push outward, as is intended; and sense it relax inward as you exhale. The hand on your chest shouldn’t be moving much at all. The key here is to get a rhythm going, concentrating on accomplishing the same depth of breath upon each inhalation. Once you have this technique pretty much handled, make an effort to slow down your respiration rate by inserting a short pause after inhaling and, again, after exhaling. You may feel somewhat uncomfortable as you begin to work with this because you may feel as though you’re not catching the next breath fast enough. But just look at it as though you’re adjusting a golf grip or, let’s say, changing your route to work due to road construction. It’s going to feel strange; however with practice and repetition it’ll become comfortable and natural. How ’bout this? As you attempt to get a fix on your breathing rhythm, why not count to three as you inhale – do your pause – count to three as you exhale – do your pause? Actually, the count is up to you, based upon your physical conditioning, health, etc. By the way – an excellent byproduct of mastering this breathing technique is its potential for providing relief should your mind come under assault from intrusive, racing, or ruminative thoughts. As these present, use your breathing discipline as a diversionary focal point until the thoughts subside, or your mind slows down. It works. Do you suppose you could practice this technique, let’s say, twice a day for ten minutes? Come on, give it a shot right now. Can you see now why learning how to breathe correctly and efficiently is vitally important? It isn’t an involuntary given. And if you’re doing all you can to manage depression, any form of anxiety, or bipolar disorder – the work is Job1! What are you struggling with? 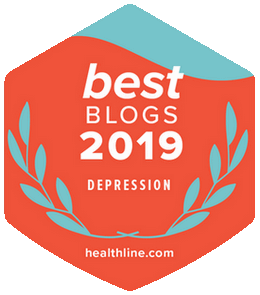 Here are my Feel Better Tools articles, as well as my articles on the Biology of Depression, Anxiety, and Bipolar Disorder. Helpful pieces, all.